Donkeys Just Wanna Have Fun! 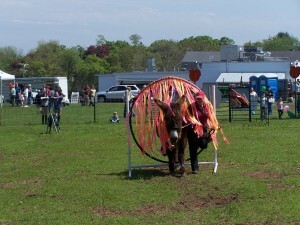 http://www.brooklynfair.org/ The show starts at 9:30 in the event arena near the cattle barns. Donkeys are such fun animals and a resurgence in interest has brought a large number to the fairs and shows held annually around New England and beyond. They are patient and thoughtful much like Eeyore from the Pooh stories. They may not pass an obstacle at first attempt but will ponder the risk involved and the value in doing as they are asked and will make a valiant attempt despite having fear issues. The donkeys come in three sizes. There are the miniatures which are invariably cute, the standards which are the Grand Canyon type and made popular by the children’s classic storybook Brighty of the Grand Canyon by Marguerite Henry. 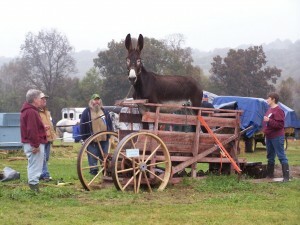 Then there are the Mammoth Variety a rather large horse height donkey with magnificent large ears. My all time favorite donkey is a character named Jassper! He has the world’s best ears! Jassper resides in Franklin Ct. on Blue Hill Farm and has many donkey friends, he is a gentle ambassador. Jassper recently starred in a video I made in a corn maze with his friend Tabassco and they will both be at the show Saturday. I will see them again next week when they come to the A-MAZE-ING Story Slam at Fort Hill Farms http://www.forthillfarms.com/ in Thompson Ct. The story slam is a storytelling competition and Jassper and Tabassco and possibly their friend Asster will be all ears as they listen to the tales told on the theme “In a Quiet Corner”. Come out and watch our friends in the show ring Saturday!